Listening is usually the slowest skill to improve. For most language learners, listening is their weakest skill. The best way to improve your English listening is to listen. A lot. 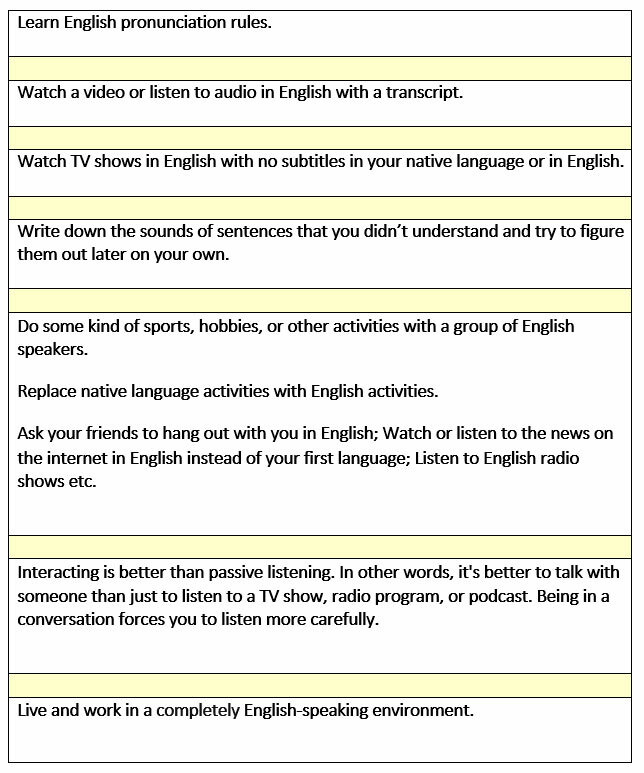 There's no way around it; you have to spend hours and hours listening to people speaking English. Listen to things that interest you. If you don't enjoy something, it's going to be hard for you to continue. You'll get bored and stop.